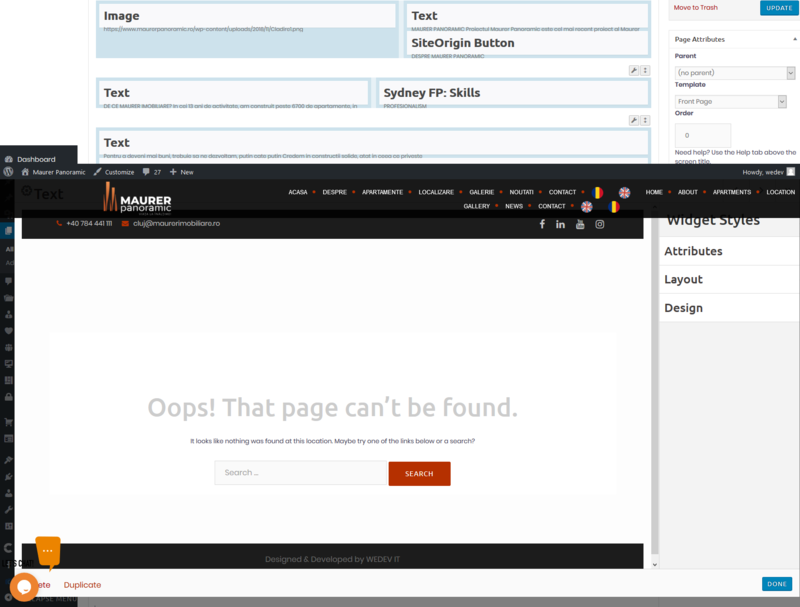 I have an issue with sydney pro theme text widget on a site. Even if I updated all plugins and the theme, I still have the issue in the attached image, can you please help me fix it? Is there any update from the page builder development team to fix this issue? I don’t think that it’s a theme or page builder issue since all Sydney Pro demo sites are working well. Can you please provide a link to an affected page? It seems that the problem was from cache, nevermind, but I got another one, if I want to update a page, in pagebuilder, it gives me a 404 not found respond. The creditials are below. Please don’t post credentials on public places like this forum, it’s extremely insecure. I’ve already hidden credentials in your post above. And please create a new topic for your second issue to keep forum in good order and make it easier to help you. I’ll close this topic to avoid confusion, hope for your understanding.